This book is for the wheel spinners and those whose books have languished. Magic is that essence of imagination projecting us into the world of fantasy, be it while reading a novel, enjoying a stage play or watching a movie. It’s the proverbial magic carpet, the genie’s lamp, but redefined for those of us who have retained our ability to wonder. In order for it to work, our “child” must still be alive and vibrant within. No child; no magic. It’s that simple. There are unfortunates among us, die-hard adults for whom life seems like a series of frowns. The childlike openness and ability to imagine that was theirs as a birthright has withered, never to return. Cry for them! The rest of us are luckier. We are simply older versions of the children we once were, perhaps with lines in our faces, or gray hair, or a long string of bills to pay, or worries that mask our true natures, but our child is in there somewhere, ready to appear if we let it. It’s poised to help us laugh, marvel at rainbows, see faces in clouds, pretend, act out roles, play jokes. It’s also the prime stimulant for creativity in our makeup, for imagination has to do with what isn’t rather than with what is. We learn that as children. The problem is that we must put away childhood things when we function as adults. Reality lurks in the shadows in case we might be tempted to sneak back to our halcyon, childlike selves, sometimes allowing us no more than a brief glimpse before we are yanked back. Take heart. The fact that we can glimpse the fantasy world at all shows that our child still exists. As readers, we need an ally to help set reality aside for as long as possible. Magic is such an ally. When we become writers, our task is to add our own brand of Magic wherever we can. A number of novel-length manuscripts have come across my desk for evaluation and editing in the past decade, most from aspiring writers yearning to have their works readied for submission to publishers. Some of the applicants were “already published”, but their books had languished. Others were obviously from novices, and some I never reviewed at all. Their brief query letters were rife with misspellings, terrible grammar and unbelievably poor letter etiquette. Why bother going further? Still others were good at writing, but had been spinning their wheels when it came to achieving their dream. 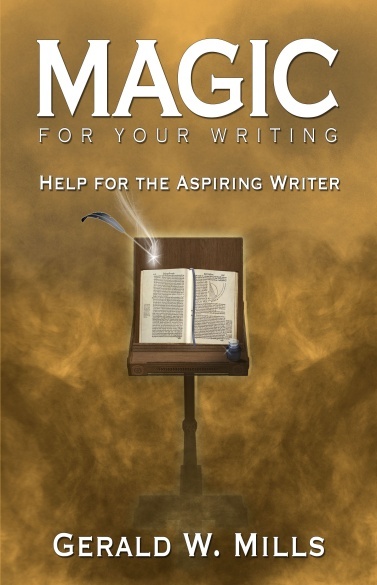 Magic for Your Writing Copyright © 2011. Gerald W. Mills. All rights reserved by the authors. Please do not copy without permission. This page last updated 11-07-10.